Neera Tanden: The primaries don't show Democrats divided. They show a party mature enough to handle debate. Neera Tanden The primaries don't show Democrats divided. They show a party mature enough to handle debate. Our party largely agrees with voters on what needs to be fixed. Disagreeing about the details is less divisive than denying reality. The wide range of political convictions on display this primary season —from leaders like Danny O’Connor in Ohio’s 12th congressional district, Conor Lamb in Pennsylvania and Alexandria Ocasio-Cortez in New York — isn’t, as some commentators have suggested, a weakness of the Democratic Party. Rather, it is a clear signal of the party's strength. It is a sign that the party is dynamic and responsive enough to embrace and attract voters from many parts of our diverse nation, whether those people live in suburban Ohio, rural Pennsylvania or The Bronx. Take, for instance, O’Connor — whose race still hasn’t been called. O’Connor made tremendous strides in his campaign by winning over a significant number of the suburban voters who once made Ohio's 12th district a Republican stronghold: Donald Trump won it by 11 points in 2016, Pat Tiberi, its last representative, defeated his Democratic opponent by nearly 40 points in his last election and current Republican Ohio Governor John Kasich held the seat for nine consecutive terms in Congress. O'Connor performed so well by running on a platform that stood against business-as-usual in Washington, demanded that the government protect Medicare and Social Security and criticized the president’s tax law as a corporate giveaway. Importantly, his refusal to accept corporate PAC money also displayed his understanding that voters desperately want political reform. In many ways, O’Connor’s philosophy echoed the approach of Lamb, the underdog victor of the special election in Pennsylvania earlier this year. Lamb won a majority of voters from suburban neighborhoods around Pittsburgh and made sizeable inroads among rural voters with a message based on fundamental progressive themes: Strengthening unions, opposing the GOP tax plan and attacking Republicans for their attempts to repeal the Affordable Care Act. 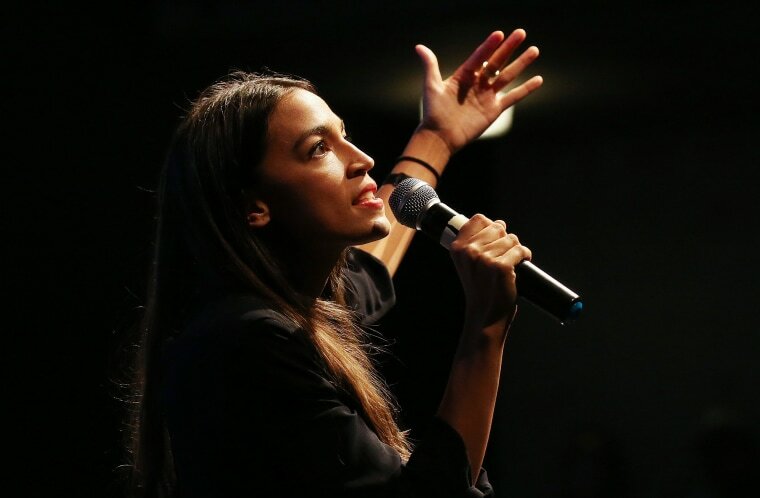 Despite such successes, some commentators have tried to pit the positions of Democrats like O’Connor and Lamb against those candidates whose views on some issues swing further to the left of the party’s spectrum — like New York’s Alexandria Ocasio-Cortez. But many of these commentators have a fundamental misunderstanding of today’s political landscape. The American people have voiced their shared desire for more candidates such as Ocasio-Cortez, Lamb and O’Connor, all of whom rejected donations from corporate PACs. They want Congress to enact sweeping reforms that will make politicians accountable to working and middle-class families instead of special interests and wealthy donors. And a strong majority of voters with diverse backgrounds and political beliefs also support the elements of a core progressive agenda, from understanding health care as a right, to protecting Social Security and Medicare, raising taxes on the wealthy and offering paid family leave to all workers. OpinionBernie Sanders was right, and Democrats are running on his message. But will the party listen? Democrats aren’t debating about whether health care is a right, but about the next step for expanding that right, whether it’s building upon the ACA, moving to single payer or settling somewhere in between. Likewise, for other critical issues such as immigration and taxes, having a full range of perspectives is far better than staging a narrow conversation amongst a shrinking subsection of America — which seems more and more the case for Republicans. That is not only smart, but healthy for the party: Impassioned and informed debates to determine which policies our government should pursue are essential tenets of a thriving democracy, and a thriving Democratic Party. And, in the era of Trump, Democratic primary voters in reliably blue districts are indeed voting for candidates further on the left. But in many swing districts, they’re also backing candidates — and especially women candidates — who can best attract crossover support during their general elections. This week, for instance, Gretchen Whitmer became the Democratic nominee for the next Governor of Michigan, while Haley Stevens in Michigan and Sharice Davids in Kansas now have outstanding chances of winning their respective House races. OpinionDemocrats ignore the left at their peril. Midwesterners aren't scared of socialism — they're hungry for it. I believe that people throughout the United States recognize that we are living through a pivotal moment in the history of our democracy, and many realize that, in the face of a president whose most consistent political tactic is pitting one group of Americans against another, the need for unity has never been greater. It’s clear that, in 2018, voters understand the stakes and are deciding to find common ground. A blue wave has already made its rounds in places like Virginia, Wisconsin and Alabama, and this week serves as further proof that voters all across America are seizing upon the opportunity to support Democrats who reject the status quo and who want to bring about meaningful change on behalf of the American people. And, after that blue wave has crashed down on Donald Trump and his allies in November, all of the candidates who created that wave can, together, provide Democrats with a blueprint for forging a powerful coalition of the rational — one dedicated to solving many of the real problems confronting our country. 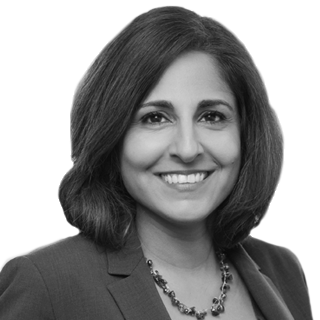 Neera Tanden is the CEO of the Center for American Progress Action Fund. Neera Tanden is the President of the Center for American Progress Action Fund.